It is with a heavy heart and profound sadness that Southern Platte Fire Protection District shares the news of the death of Board of Director Michael "Newie" Newburger. Director Newburger died peacefully, surrounded by his family and friends today, February 26, 2019, after complications from pneumonia. The Southern Platte Fire Protection District is accepting applications for the position of Firefighter. Minimum qualifications are: Firefighter I and II, Haz-Mat Awareness & Operations, EMT-B, CPAT, Firefighter Entrance Exam, High School Diploma or GED, good Drivers Record, must be 20 years of age by date of hire and a non-tobacco user. Must be in good physical condition with no criminal history. If hired, a post-employment medical exam and drug screen will be required. Beginning salary for 2019 is $37,319.88 annually with a competitive benefit package. On April 3rd Southern Platte Fire Protection District is asking tax-payers to allow the Board of Directors to issue general obligation bonds in an amount not to exceed $10,000,000 for the purpose of providing funds to acquire equipment and acquire, equip and improve buildings and facilities for the District. Southern Platte Fire Protection District has been notified that the Insurance Services Office (ISO) has completed the local department survey and lowered the Public Protection Class (PPC) to a Class 2 for all areas that are within 5 road miles of a fire station and have a fire hydrant within 1000 feet of their structure. This change could mean savings in insurance premiums for most of the property owners within Southern Platte Fire Protection District. This places Southern Platte Fire Protection District in the top 3.4 percent of all communities countrywide as graded by the Insurance Services Office, Inc. The Board of Directors of Southern Platte Fire Protection District announced that they unanimously approved a resolution calling for an election, as they found it necessary and declared their intent to issue general obligation bonds in an amount not to exceed $10,000,000 for the purpose of providing funds to acquire equipment and acquire, equip and improve buildings and facilities for the District. We would like to invite you to our OPEN HOUSE, Saturday, October 14, from 10:00am to 3:00pm at Station #3, 10811 NW 45 Highway to celebrate National Fire Prevention Week. Come tour our station, see the trucks and learn about fire safety. Children can participate in our firefighterobstacle challenge. PulsePoint is a free smartphone application that alerts citizens trained in hands-only CPR when someone in their vicinity experiences sudden cardiac arrest (SCA). Public safety communications centers activate the alert at the same time they dispatch emergency medical responders. Quick response by nearby citizens in the few minutes it takes for an ambulance to arrive can greatly increase an SCA victims chance of survival. 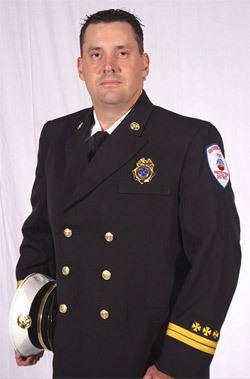 It is with a heavy heart and profound sadness that Southern Platte Fire Protection District shares the news of the death of Battalion Chief Jonathan Messick. Chief Messick died peacefully, surrounded by his family today, August 10, 2017, after complications from cancer. It's time for Fire Prevention Week! Don't Wait – Check the Date! Replace Smoke Alarms Every 10 Years. According to a study, released by the U.S. Fire Administration, 900 portable heater fires occurred on average earch year from 2008-2010. The death total, according to NFPA in 2011 alone wa 400 deaths. USFA reported that 150 injuries occurred with approximately $53 million in property loss. Safety education and fire prevention is paying off for one local fire district. For the thirteenth year, the Southern Platte Fire Protection District has received national attention for its fire prevention accomplishments in 2013 by the National Association of State Fire Marshals Fire Research and Education Foundation (NASFM Foundation) in partnership with Grinnell Mutual Reinsurance Company. The award was announced by Butch Browning, president of the NASFM Foundation. Proper fire prevention and on scene operations is paying off for one local fire district. Southern Platte Fire Protection District has received attention in a competitive grant process and is being awarded a grant for $1,200 to assist in the purchasing of specialized water appliances for their fire apparatus.